Added on 20 March 2019 . By Anisah Audu. I have this thing about going south of the river… I don’t love it. I’m a north Londoner through and through and the thought of having to sit on the sweaty tube for an hour sends shivers down my spine. I love a good local bar or neighbourhood restaurant so when The Camden Grocer opened up in Camden’s iconic stables, I had to get down for a cheeky peek. Showcasing a carefully curated selection of seasonal food, deli favourites and pantry essentials, this NW1 spot is the perfect place for filling up your kitchen cupboards. But that’s not what we had come for. 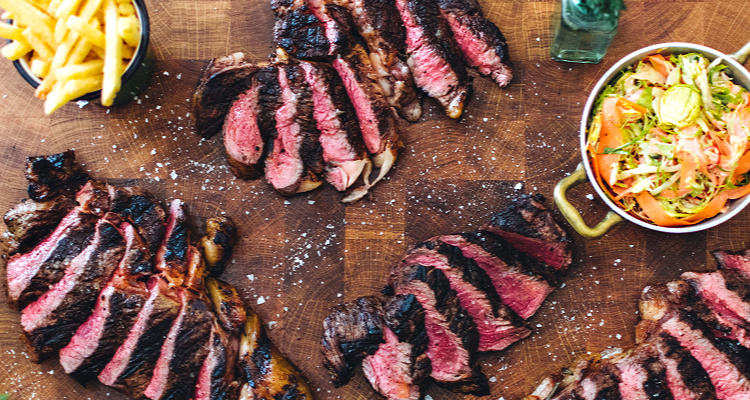 Teaming up with fellow market dwellers Roadkill, The Camden Grocer has launched a series of Butchery and BBQ masterclasses (£95 per person). We were more than ready to get fired up. From deli to café to supper club, The Camden Grocer does it all. Roadkill’s in-house butcher, Jared, kicked things off with a live butchery demonstration of prime Dexter beef while mouthwatering canapés and wine pairings circled the room. Croquettes stuffed with pulled beef and oozy cheese melted in our mouths while homemade bresaola-topped crackers paired with a crisp Amelie Les Bubbles made for an impressive start to the evening. Before long, it was time to take a seat at the communal table lining one side of the room. Sat next to fellow north Londoners and even a couple of TV personalities, it was clear that this was a local crew. Setting the bar for our 3-course spread was succulent beef tartare topped with squidgy morsels of double pullet egg yolks and washed down with a silky sip of Montecillo Rueda Verdejo. Plant-based? Look away now, because this is one mighty meaty spread. I wondered how I'd get through an intimidating mountain of fillet, sirloin, rib-eye and ribs served with beef dripping fries, salad, roasted onions and smothered red wine gravy... somehow I managed. Ending on a gluttonous high, we saved a sliver of room for bread and butter pudding drenched in eggy custard and matched with a taste of Devonshire ice cider. 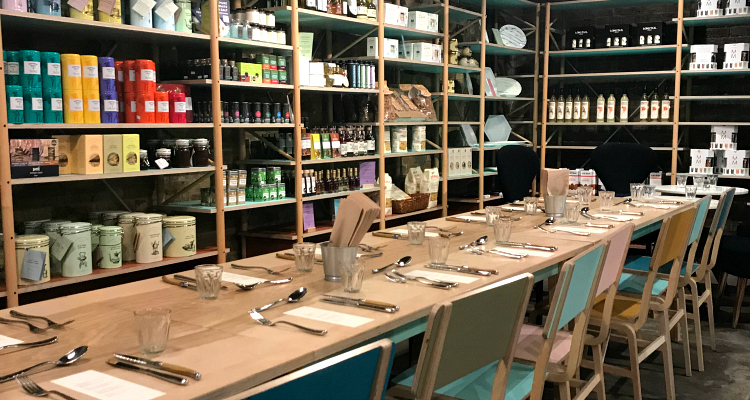 Located in the deli, the space benefits from the unique atmosphere of the market, making it an ideal location for an intimate supper club. Top that off with engaging service and an affable crowd, and it was easy to feel like we were dining with our closest mates. Whether you’re after some fine pantry essentials or in the mood for a new foodie experience, The Camden Grocer should be on your radar. Plus if you value your wines, ciders and bubbles as equal to your meat, then this one's for you.